I am new to the forum, and somewhat new to fixing Mini Coopers. I have discovered leaks on my driveway. Low and behold it I traced the source back to this part (see attached picture) and it seems to be where coolant is dripping from. Could anyone please point me in the right direction? I need to know what part this is as the repair manual doesn't give a good diagrammatic picture. Please let me know what part or generally what to look for so I can start this repair. 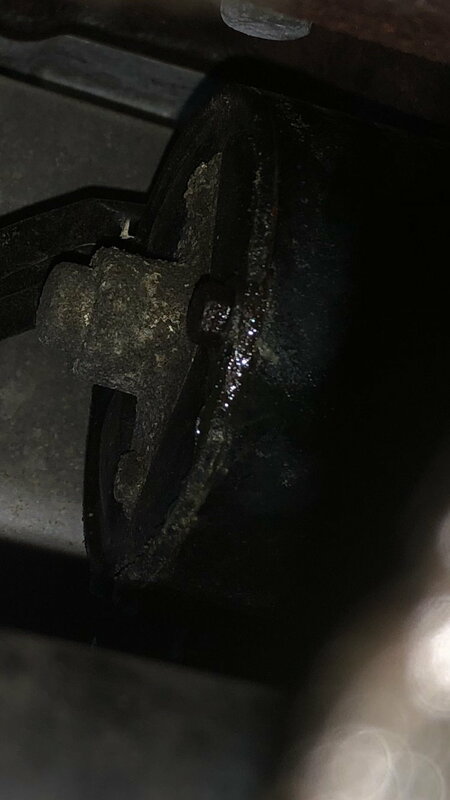 This picture was taken underneath the vehicle looking up at the engine - almost in line with the steering rack or in the vicinity of the oil pan. I can only imagine it's attached to the motor that's why i was thinking some sort of freeze out plug. 2011 Mini Cooper Coolant Leak Help! New to Mini. External head gasket coolant leak?